Be sure to ensure your home and car doors are locked. Do not forget to activate your alarm systems. If you are out after dark try to stay near well-lit areas. Whenever possible try not to go out after dark or at night alone. Make an extra effort to be vigilant of your surroundings and be aware of strangers that approach you. Try to keep at least one hand free at all times. Keeping your cell phone or remote panic button handy is a good idea, in order to alert others in case you have an emergency or critical incident. Try to notify someone, via phone, email or text, if you plan on being out alone or for an extended time period. Always tell someone if you plan on drastically changing your normal routine and have a ‘check-in’ plan. Reminder- ‘If you see something say something.’- Be safe and Happy Thanksgiving! Bring your cameras and take pictures with Santa! Hot chocolate & cookies provided. 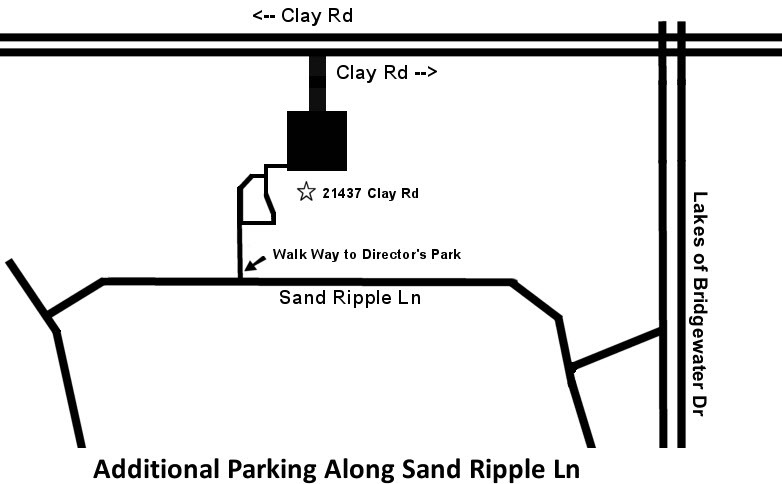 Additional event parking along Sand Ripple Lane (see map).